The Char Dham pilgrimage to Badrinath, Kedarnath, Gangotri, and Yamunotri witnessed record footfall by registering 27.69 lakh visitors in 2018. As 2018 draws to a close, Uttarakhand will remember the year for high dramas in the political field, state government launching an ambitious health scheme, the hill state making debut in national cricket championship, the tragic bus accident at Dhumakot in Pauri in July in which 54 passengers lost their lives creating shock-wave in the state, the infighting in Uttarakhand Congress, and many other issues continued to create headlines throughout the year. The alleged conspiracy to create political instability, conducting a TV sting operation of Uttarakhand Chief Minister Trivendra Singh Rawat and one senior bureaucrat surprised the Highlanders. The Uttarakhand Police arrested Umesh J Kumar, CEO & Editor-in-Chief of Samachar Plus News Channel from Noida in October on charges of extortion and blackmailing. The arrest created a lot of noise with the Congress demanding to make the sting videos public. The infighting in the Congress intensified with the Harish Rawat and Pritam Singh groups keeping the media busy with their attacks over each other. To bring cheers to the Rawat camp, senior Congress leader and former CM Harish Rawat was made the Congress Working Committee general secretary. Uttarakhand Chief Minister Trivendra Rawat had to face public anger on social media for losing his temper and exchanging hot words with a woman government teacher at the Janata Milan programme in Dehradun on June 28. The death of a transporter who consumed poison while attending a public function was a huge setback to the BJP in Uttarakhand. The shocking incident took place at the Uttarakhand BJP office in Dehradun. Attending the ‘Janta Milan’ programme of state agriculture minister Subodh Uniyal on January 6, Prakash Pandey claimed that he had come over after consuming poison. The trader later died in a hospital. The incident gave Congress an opportunity to attack the BJP. 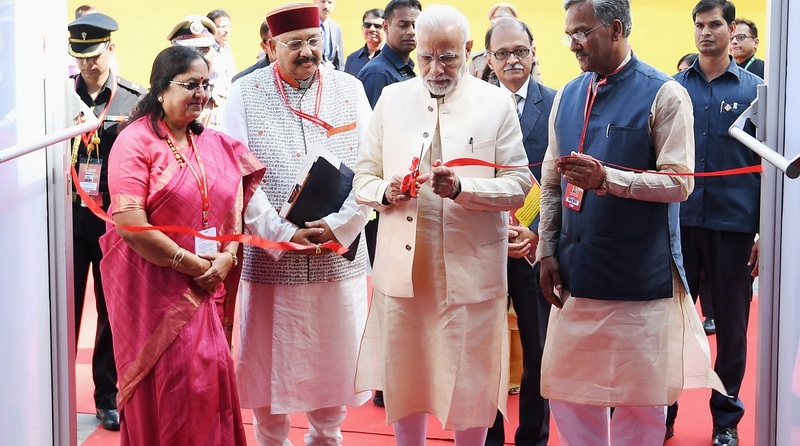 In a move to provide free health care to its citizens, the Uttarakhand government launched the “Atal Ayushman Uttarakhand Yojna”. By hosting the first investor meet in Uttarakhand, the state government signed 601 MoUs worth Rs 1.20 lakh crore. Taking some action to justify the ‘zero tolerance against corruption’ chant, Trivendra Rawat government suspended two IAS officers for their alleged involvement in the Rs 300 crore National Highway-74 scam. Pankaj Kumar Pandey and Chandresh Kumar Yadav were suspended for their dubious role in the land scandal. 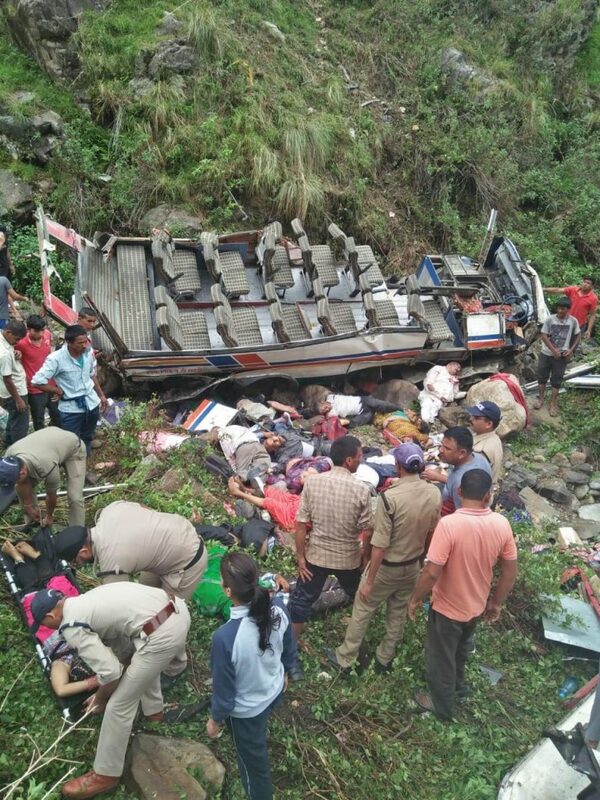 On July 1 a tragic bus accident took place at Dhumakot in district Pauri in which 54 passengers were killed and over half a dozen was injured. The accident took place due to the bad condition of the road. Former Uttar Pradesh and Uttarakhand Chief Minister Narayan Dutt Tiwari died after a prolonged illness at a private hospital in New Delhi on October 18. Professor and environmentalist GD Agarwal, alias Swami Gyan Swaroop, who was an indefinite fast since June 22, passed away at the All India Institute of Medical Sciences in Rishikesh on October 11, creating an embarrassing situation for both the central and state governments. The Char Dham pilgrimage to Badrinath, Kedarnath, Gangotri, and Yamunotri witnessed record footfall by registering 27.69 lakh visitors in 2018. Prime Minister Narendra Modi offered prayers at the Kedarnath Temple in district Ruderprayag on November 7. 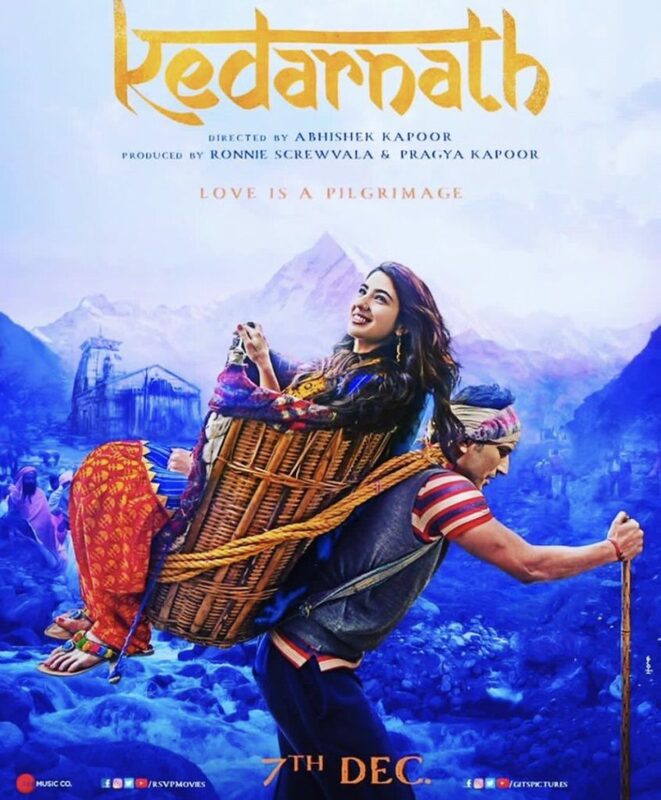 Hindi film Kedarnath created controversy and the state government imposed a ban on its screening in the hill state. Uttarakhand made its debut in the Ranji Trophy and other national cricket championships in 2018. In a move to stop corruption in sports, the Uttarakhand government implemented sports code in the hill state. The Uttarakhand Rural Development and Migration Commission released its report on migration in the hills. The New Year promises to bring more good news and development to the state as the Uttarakhand government is formulating policies and planning to revive fortunes of the migration hit villages.